James Bennet, the editor in chief of The Atlantic magazine for the past decade, is the new editor of the New York Times editorial page. Bennet will succeed Andrew Rosenthal at the beginning of May, Times publisher Arthur Sulzberger said Monday. The Atlantic did not immediately name a new editor in chief but said a search is underway. Bennet, 49, spent 15 years at the Times in high-profile roles like White House correspondent before leaving for the Atlantic. His return immediately positions him as a major player in the future of the Times. Politico, which first reported the possibility of his return on Sunday, said it "could even put him in line to succeed executive editor Dean Baquet, for whom there is no single clear heir apparent among the newsroom's senior leaders." 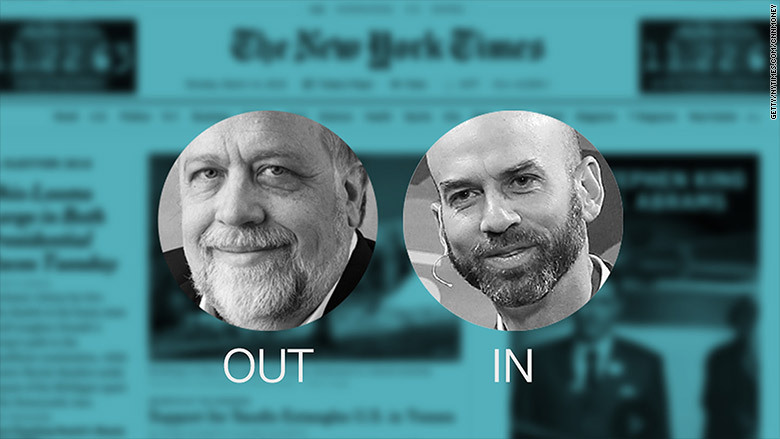 Rosenthal, 60, one of Sulzberger's most important deputies, has been the editorial page editor since 2007. He will write an online column for the paper. "Since Arthur began the public discussions last fall about succession planning for himself, I also have been thinking about my own plans," Rosenthal said in a statement, adding that he is "looking forward to the opportunity to step back and focus my full attention on writing about subjects I care deeply about."